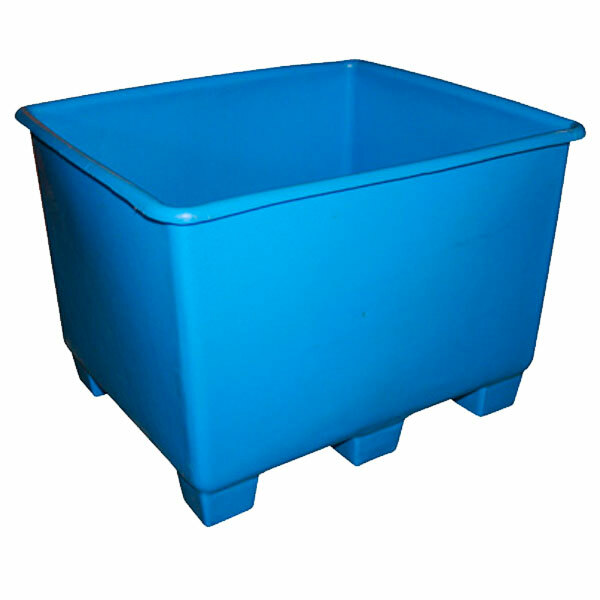 The BT Series BT-24 Twenty-Four Cubic Foot Bulk Tub is a rugged, high-quality bulk tub. Heavy duty, long-lasting, seamlessly molded, polyethylene bulk tubs for material handling in warehouses, distribution centers, processing plants, agricultural, fulfillment, manufacturing, maintenance and other industries. High volume capacity will not crack or dent. Resistant to UV and corrosive agents, easy to clean and maintain. Most models offer four-way fork-lift access and lids. Customization options available. Twenty-four cubic foot model. Outer Dimensions (OD) (LxWxH) 52 x 42 x 30"